Congo political crisis deepens as top court rejects vote challenge - SABC News - Breaking news, special reports, world, business, sport coverage of all South African current events. Africa's news leader. The provisional results, announced on Jan. 10, showed Felix Tshisekedi winning with a slim margin over Fayulu. Congo’s political standoff deepened on Sunday after the top court backed the contested presidential election victory of Felix Tshisekedi, and then his main rival rejected the ruling, called for protests and declared himself leader. But monitors pointed to major flaws in the poll. Unrest over the vote has already killed 34 people, wounded 59 and led to 241″arbitrary arrests” in the past week, according to the U.N. human rights office. Fayulu says Tshisekedi and outgoing President Joseph Kabilamade a deal to cheat him out of a more than 60-percent win – an accusation they both dismiss. On Thursday, SADC backing off from earlier calls for are count. A tally from the church reviewed by Reuters from about 70% of polling stations suggested a victory of 62% for Fayulu, a former Exxon Mobil country manager. 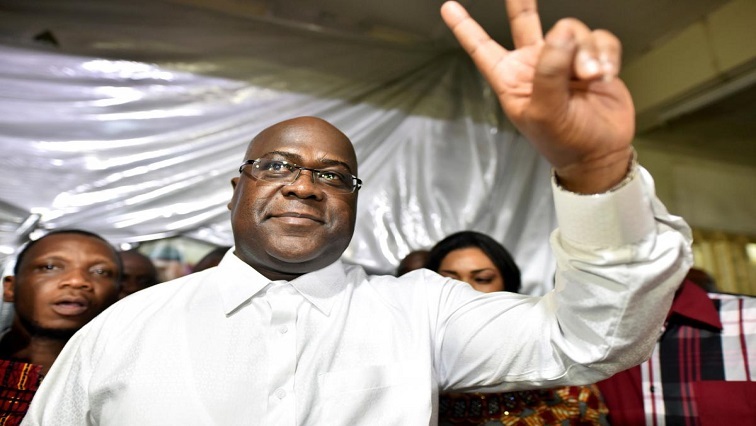 Tshisekedi andRamazani were virtually neck-and-neck in second place with 16.93% and 16.88% , respectively. Congo – which was ruled by dictator Mobutu Sese Seko for 32 years before tumbling into chaos and war in the late 1990s -is a vital source of copper and other metals, including cobalt. This entry was posted on 21 Jan 2019,05:46AM at 5:46 AM and is filed under Africa, Homepage Latest Stories Slider. You can follow any responses to this entry through the RSS 2.0 feed. Both comments and pings are currently closed.